Pants, trousers, joggers, leggings, tights, leg warming devices… Whatever you want to call them. This incredible post today is featured around our favourite sloth pants. If you are sat there in your underwear wishing you had a pair of pants to wear, this is the article for you. So let’s get on with it! These sloth pants are perfect for slothing around in on a lazy day. They are super comfy, affordable and they will hide all the stains you get on them! 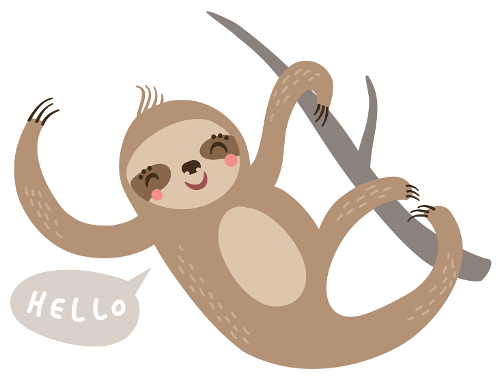 The cute little sloth will accompany you all day as you go about your daily life. Psst! 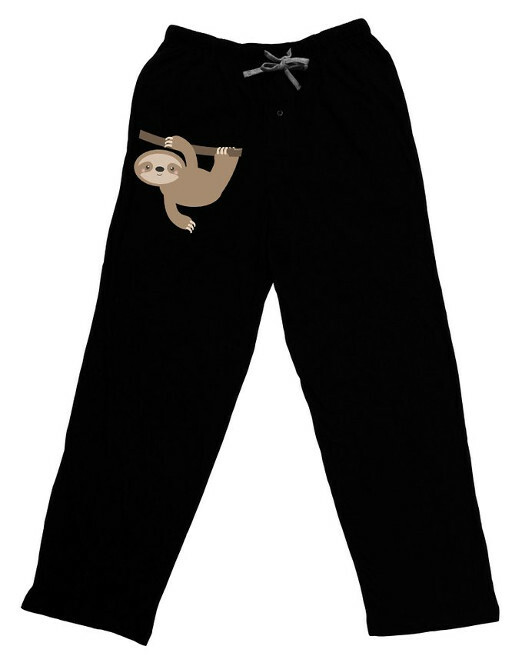 You can also get these sloth pants with a christmas sloth on! These subtle but cute joggers are just what you need if you want a comfy day inside. The tiny sloth graphic is adorable and and won’t come off in the wash after two spins. They are ridiculously comfy and they snug your bum perfectly. These sloth tights / leggings, whatever you call them are perfect for going out in. The cute sloth can be covered by a long shirt and if you want to surprise some one you can flash your sloth! They are durable and won’t ladder over nothing. A pair of sloth pants for the guys! 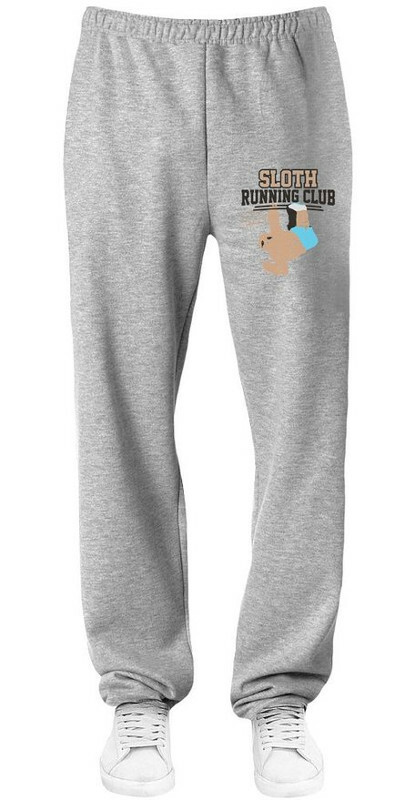 These sloth running joggers are perfect if you want to do the exact opposite of what a sloth does and go for a run. The graphic is cute and will stay on without wearing down easy. Another short but sweet article – we wish we could have found more sloth pants for you guys, but unfortunately we couldn’t find many. If you manage to find some, please don’t hesitate to contact us and we’ll add them to this list! Which sloth pants are the coolest? Do you allow guest posting? I can write high quality posts for you.